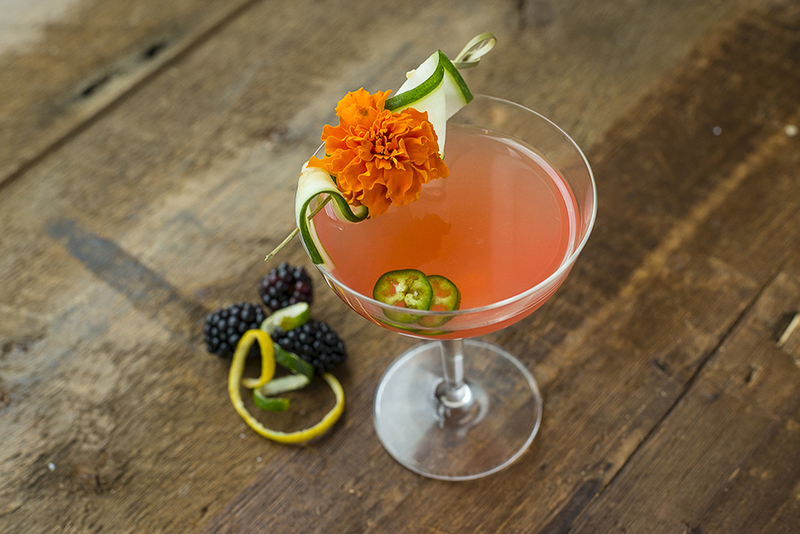 Celebrate spring with a cocktail worthy of Austin’s infamous safekeeper at Cannon + Belle. Tom Brady could have used a woman like Angelina Belle Eberly protecting his Super Bowl jersey, the one that went missing after that comeback win in Houston last month. She is the woman, after all, who helped prevent another notable and, dare we say, more consequential, Houston theft back in 1842. Of course, that time, it was Sam Houston himself who tried to steal the capital of Texas away from Austin and to his own namesake town. Eberly went so far as to fire a six-pound cannonball across Congress Avenue to stall Houston’s cronies from succeeding—and it worked. Austin Woman asked the team at Cannon + Belle, Hilton Austin’s new downtown restaurant named for Eberly, to help us commemorate that feisty woman with a fiery libation befitting her legacy. Fill a coupe glass with ice to chill. Muddle two slices of jalapeño and add them to a mixing glass and fill with ice. Add 2.5 ounces Deep Eddy Ruby Red Grapefruit Vodka, half an ounce Ancho Reyes ancho chili liqueur, half an ounce simple syrup, half an ounce lime juice, and shake. Empty the ice from the coupe glass and strain the drink mixture into the chilled glass. Garnish as shown and serve.